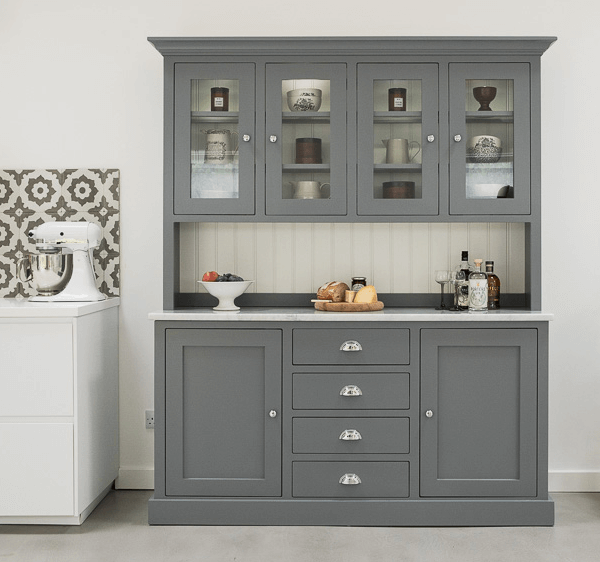 the finest kitchen dressers in the UK. We take great pride in creating wonderful pieces of high quality kitchen furniture. Our dressers aren’t just beautiful, they are clever and practical too. 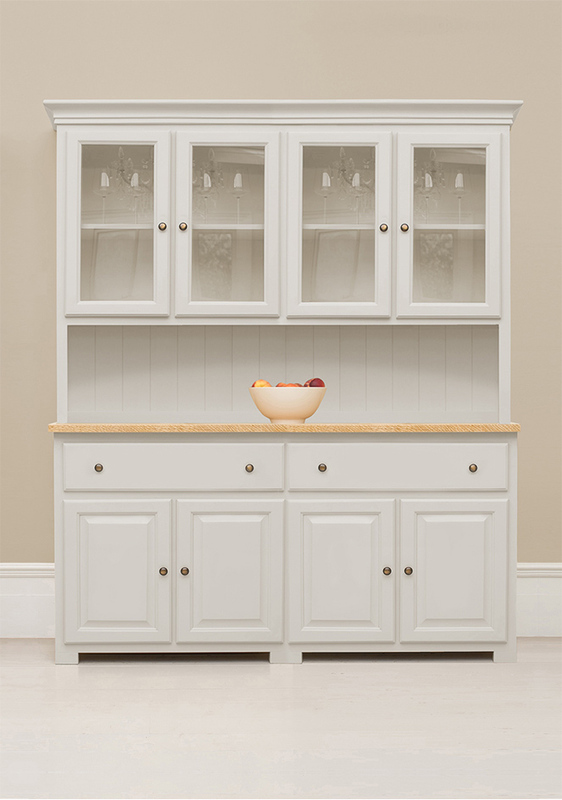 Slim Shaker style kitchen dressers featuring simple lines and symmetry. 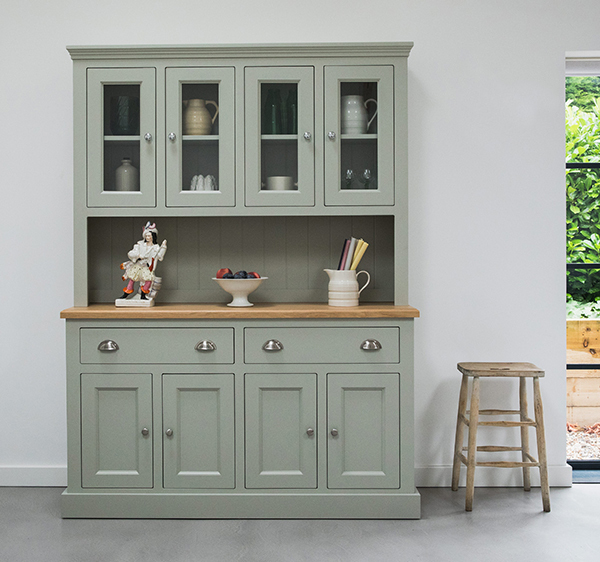 Versatile dresser designs that blend well with modern and traditional kitchen styles. 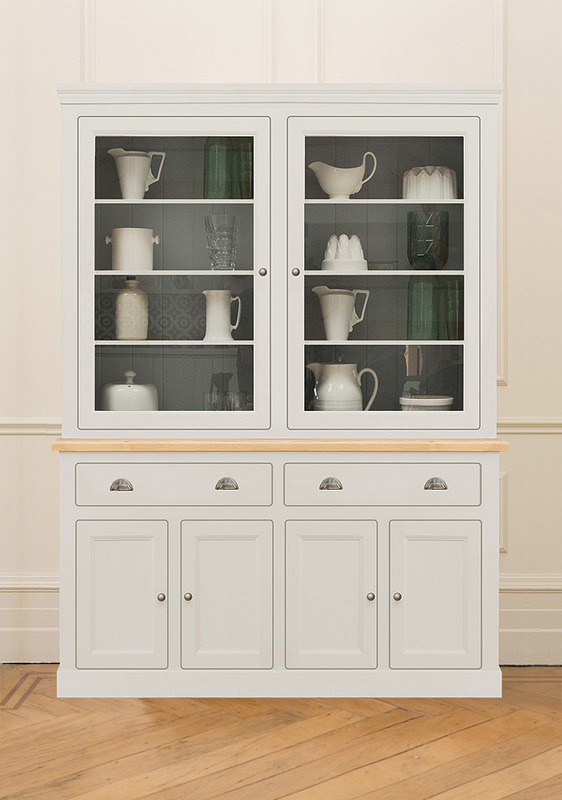 Elegant kitchen dressers designed with Georgian style soft lines and fine features. 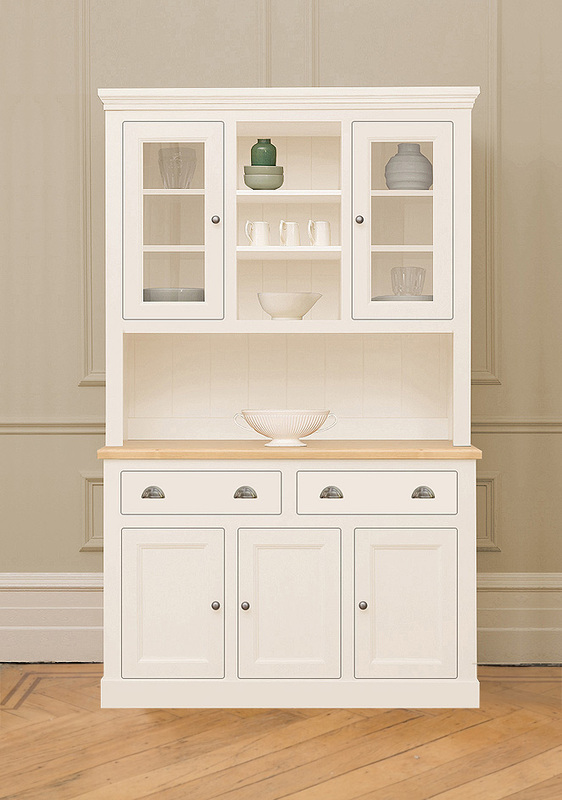 These dressers provide very generous storage space and make a perfect addition to a kitchen or dining space. Premium made-to-order dressers with luxurious finishing touches. The sumptuous Italian marble balanced with a high quality paint finish, downlighters and solid chrome handles create a fantastic centrepiece in the home. 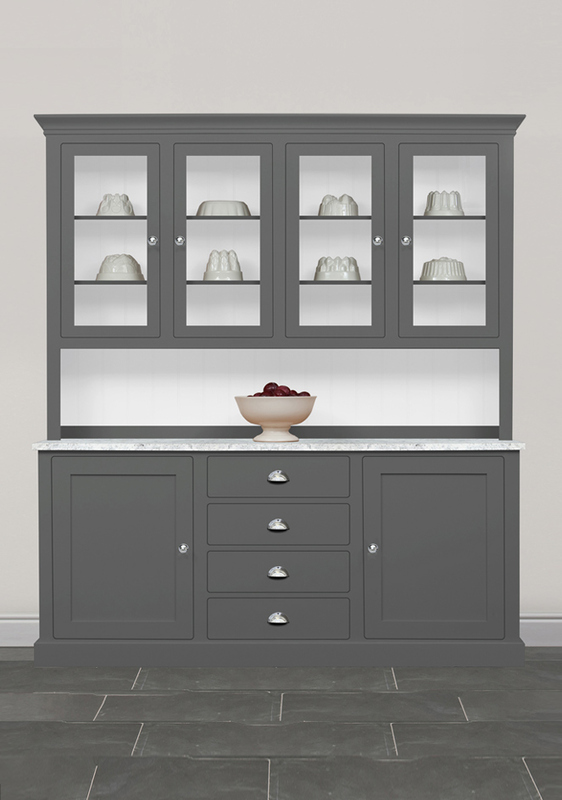 Handcrafted bespoke kitchen dressers to meet your specific requirements. Choose your size, worktop wood, style and extra features. 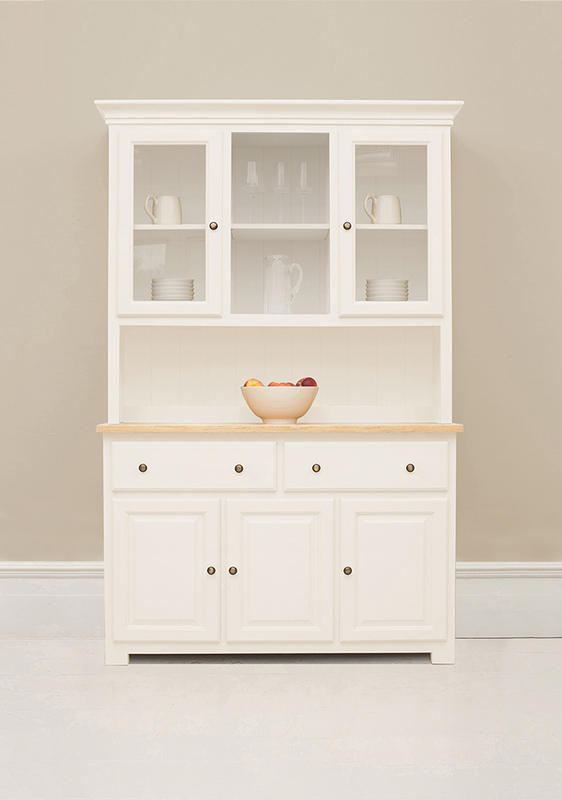 Hand-built in Britain using the highest quality wood and employing the very best traditional cabinet making skills. 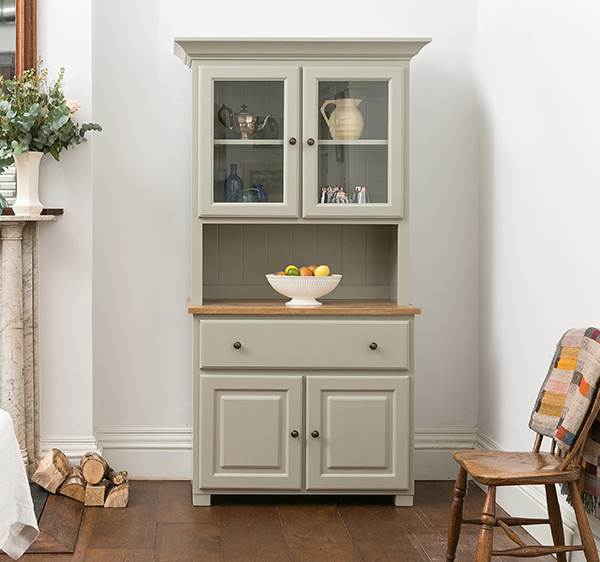 We recently took delivery of our Bathwick dresser in Saltmarsh finish - great piece of furniture and we are delighted with it! We've just taken delivery of our new Studio dresser-absolutely delighted! It's a real piece of furniture-stylish, bright, functional, and finished to a very high standard. Plus the delivery company contacted us by phone and email in advance on the dates as promised. Based on our experience my wife and I have no hesitation in recommending the Kitchen Dresser Company Ltd! Dear kitchen dresser people, we took delivery of our dresser and sideboard on Friday and are delighted with both. The quality is fantastic and having spoken to you and received the paint sample cards, the colour is just right. Dear Laura, the dresser was delivered on Friday and I have seen it today - its the perfect finishing touch to my Mum's kitchen - thank you!! I just wanted to let you know the dresser has arrived and it looks FAB! We will definitely recommend you to friends who are looking for a dresser. The dresser arrived bright and early, as planned, on Saturday morning. Lovely friendly delivery guys who put it together, quickly, cheerfully and kindly took away all packaging. We LOVE the dresser and would highly recommend your company to anyone looking for a fabulous focal point to any home. Thank you for the wonderful dresser you made for us - we love it! Just wanted to say thank you for my Studio dresser that was delivered last week. I am so happy with it. It looks absolutely stunning in my conservatory and complements my kitchen units next to it. I am really pleased with it. Dear Simon, just to confirm that my dresser arrived, was unpacked and I have now filled it with my ‘stuff’. It is just what I wanted and I am very happy with it. 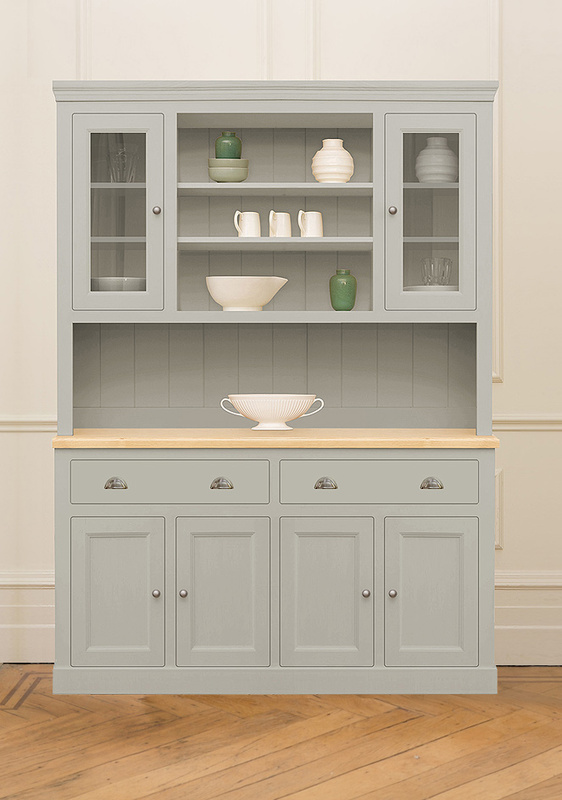 Always slightly worried buying things online without seeing it ‘in the flesh’ but (as I e-mailed my children) happiness is a lovely new kitchen dresser, many thanks. Hi Simon, I just wanted to drop you a quick message to say my dresser has been delivered and I'm absolutely thrilled with it. Excellent craftmanship, beautiful colour and it fits perfectly in my kitchen. The delivery team was also excellent. Thank you so much. Hi Guys, I just wanted to say WOW and thank you for such a beautiful piece of furniture. It really does look stunning and finishes our kitchen off fantastically well. My wife wasn't too sure when I ordered it but now she can't stop raving about it. Keep up the good work and thanks again. Hi Simon, thank you for the dresser delivery which is now sitting proudly in my kitchen - it is perfect for my needs and I am very impressed with the quality & workmanship. Delivery guy was excellent as well at unpacking & assembling, many thanks. Hello Simon, I just wanted to say that the delivery came on Saturday and we are delighted with this. Thank you very much for such a good service. Hi Simon Just got the dresser and it looks great thank you! Dear Simon, I received the dresser last Sunday and it is absolutely beautiful and fantastic finish and craftsmanship. Thank you very much for your flexibility on the payment method. I just wanted to confirm I have taken delivery of the dresser this evening. We are very pleased with the quality and it looks beautiful in our kitchen. Many thanks again. I am really pleased with the quality of the dresser and the delivery men were a pleasure to deal with. Thank you so much for your help. Evening Simon, we received the new dresser last week which is lovely and we are very pleased with it, thank you for a lovely crafted piece of furniture. Hi Simon, Received our dresser yesterday and we are really delighted with it.It is my most favourite piece of furniture in our house! Thanks for all your hard work. Dear Simon, just wanted to say how pleased we are with our dresser, it's just so lovely and looks fantastic in our dining room. The delivery men were wonderful, very friendly and efficient. Once again thank you so much. I'm sure we will enjoy it for many years and will recommend you to our friends. I was quite nervous buying such a big item from the Internet unseen. I thought it might appear a bit flimsy or the colour would be wrong. Well I should not have been so worried! I absolutely Love it! It exceeds my expectation! The quality of the piece is excellent and the cupboards and drawers are very spacious. Hi Simon, The dresser has just been delivered bang on time by two very professional guys. I just wanted to say I'm delighted with it (and know my wife will be when she returns later). Its a fantastic piece of furniture which has finished our new kitchen off perfectly. Many thanks - the service and product has been excellent. 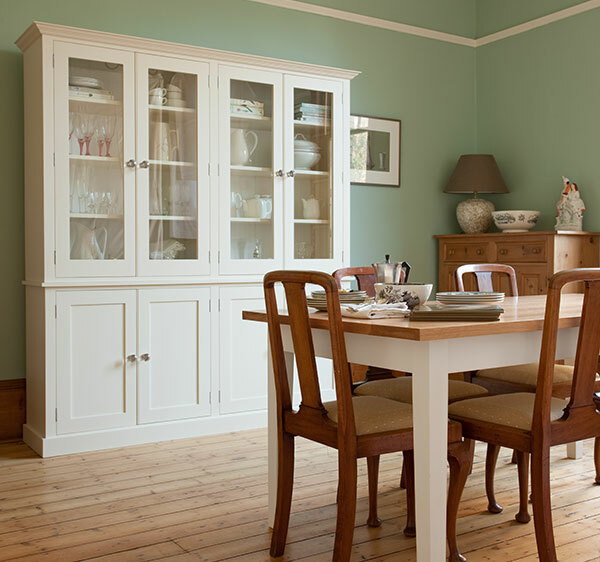 Hi Simon, Many thanks for the kitchen dresser which looks lovely and just right in the dining room. The couriers were brilliant, earlier than they originally thought and very speedy to put it in situ. Thanks again, have a good Christmas. Hello Simon, I have received my dresser and am absolutely delighted with it! Thank you. Dear Simon, I am delighted to have bought the dresser. I'm buying from France and if Susan hadn't been so helpful and understanding, I might have simply given up. Buying from you has been a thoroughly pleasant experience. I look forward to enjoying the dresser for many years. Hi Simon, we took delivery of our dresser yesterday and it's even lovelier than we expected. The quality and finish are excellent and the man who delivered it was great, he assembled it and took all the packaging away. It finishes off our kitchen beautifully and we are very pleased with it. Thank you very much. I received my dresser today and am absolutely thrilled with it. I would also like to add that the delivery team were superb, very friendly and most helpful. It has been a pleasure doing business with you. A very happy customer. I have taken delivery of the dresser and wanted you to know that I am very pleased indeed with the product. Please pass my thanks to Simon who obviously does a superb job. Many thanks. These are some of our Best selling models. We hope you enjoy browsing.